You've probably noticed that we're right in the midst of the selfie movement, and many of those who participate have mastered how to take a good selfie. If you're unfamiliar, the selfie movement is really just a cultural phenomenon that involves holding your camera-equipped mobile device out in front of your face and snapping a photo of yourself so that it can be shared on social media. People take selfies very seriously these days, but everyone's time and patience is limited these days, so knowing how to take a good selfie the first time is extremely important. It doesn't necessarily mean adding more makeup, changing your hair or using multiple photo editing tricks and filters. It might take some practice, but if you spend enough time looking at yourself on your camera screen and snapping photo after photo, you can learn how to take good selfies in no time. After all, selfie-taking isn't rocket science. 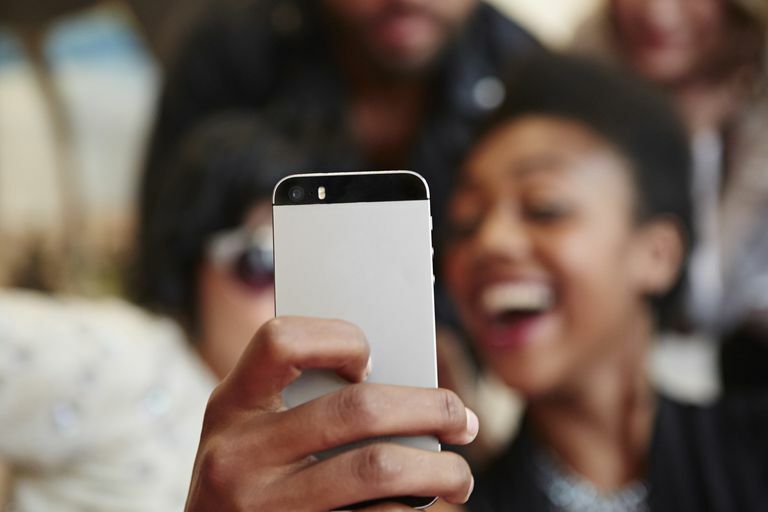 Here are a few good tips to keep in mind when trying to capture that perfect selfie. When it comes to smartphones, not all cameras are made equal. And yes, the quality of your camera can make a huge difference in how your selfie turns out. The older or cheaper your device, the less likely it is to have a high-quality front-facing camera. You can do all the editing that you want on your selfie after you've taken it, but it's probably not going to hide the fact that your camera isn't so great. Do your research on camera features and picture quality next time you pick out your next smartphone. The camera on the latest model of the iPhone is excellent, and while some Androids have cameras that are just as good and even better, others definitely do not. Take a look at the top 10 smartphones with the best cameras if you're thinking about getting a new phone. Lighting plays a massive role in photography — whether you're a professional photographer or just a casual selfie taker. How many selfies have you seen (or taken yourself) under such low light that everything looks dark and orange and grainy? A lot? Probably. Don't be one of them! Plan to take your selfie in a well-lit room or under natural light. You might need to adjust your phone's camera settings to get it looking just right. Consider investing in a selfie light to help with the lighting situation. These types of lights are designed to either connect to your device or stand in front of you, providing uniform light whenever you need to take a great selfie. This can be tricky, but overdoing it with your smile or your eyes or even the way you hold your hand out from your phone can send the message that you might be trying too hard. It's hard to look natural when all you're trying to do is capture the good parts of yourself, but if you do, people might catch on and be left with a bad impression. You don't want to come off as a self-absorbed selfie taker! Try focusing on a happy memory or a funny joke or something else that brings a natural smile to your face. This can help take your focus off of the camera and increase your chances of capturing a genuine smile. Just like having the right lighting, finding an angle that's just right can really transform your selfie. Do you think you have a "good side" when it comes to your profile? If so, try it! You can also try moving your device up and down, or tilting it slightly. For example, holding your device slightly higher can create the illusion of a slimmer look while holding it lower could possibly make your face look heavier. There are tons of great apps out there that handle all the fine tuning for you — from contrast and brightness to smoothing skin and sharpening blurriness. Check out some of these top selfie apps if you're interested in fine tuning your selfies. You'll want to practice using these editing apps first — especially if they have a lot of advanced effects. Don't expect to make your selfie look perfect the first time! Play around, experiment, and get other people's opinion of your editing effects if you can. It can be really tempting to pick one of those funky app filters that turn your selfie into an almost unrecognizable photo of yourself. Sometimes they work and turn out real artsy looking, but other times, they really don't do you any favors at all — and people online are getting good at picking out what looks real and what looks fake these days. Same goes for editing. Those editing apps are there to help, but too much is never a good thing. You don't want people to be able to tell that you've gone crazy with editing on your selfie. Selfie-taking is mostly an experimental art form and you're unlikely to achieve ultimate selfie perfection every single time. Remember that it's just a selfie, so don't stress too much over it! You may not be able to please everyone, no matter how good your selfie turns out to be. A selfie that's considered good by one person might not be considered so great by someone else's standards. If you're looking to up your selfie game, try paying attention to how other people take their own selfies. You may be able to get some ideas and try some different techniques as you draw inspiration from others. Have a good time with your selfie adventures and remember that the most natural looking photos are usually considered to be among the best.